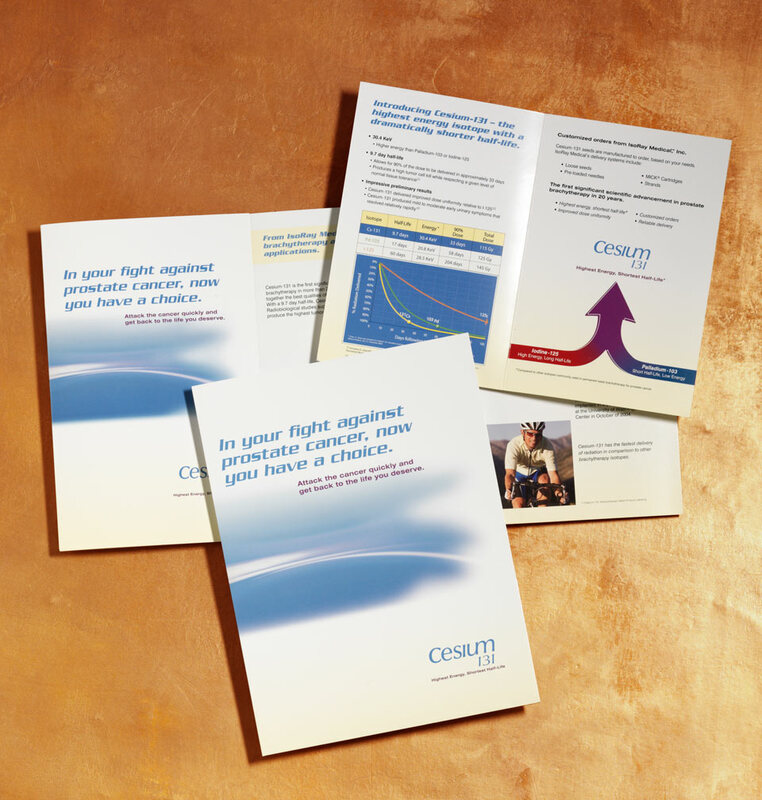 Cesium-131, a treatment for cancer, needed to update the look of its marketing collateral to communicate a feeling of optimism and clinical effectiveness while still remaining true to their established brand identity. The design solution uses an abstract image for the cover of both the patient brochure and folder that conveys resiliency and a forward movement which, combined with a bold and italicized typeface, communicates determination in the fight against cancer. In addition to updating the look and feel of the marketing collateral, tables and charts were created to communicate information about the treatment in a visual way.